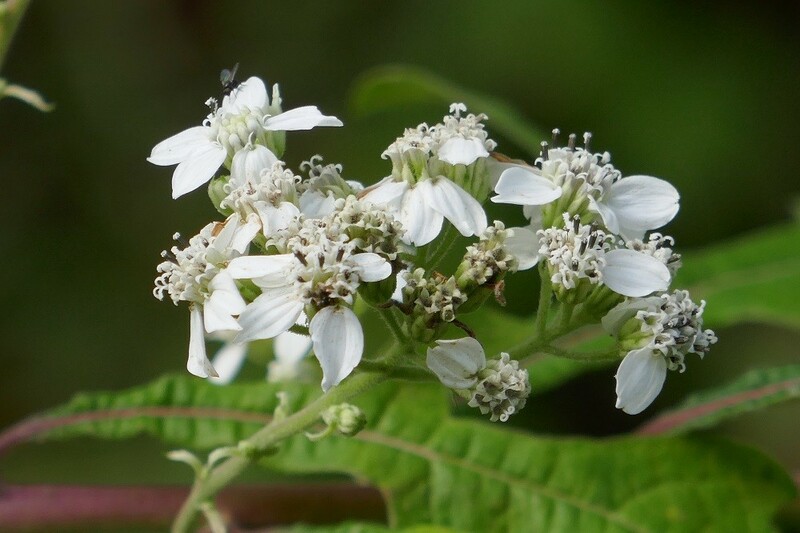 Frostweed (Verbesina virginica) is a perennial wildflower that grows to a height of 4 – 6 feet. It is in the Asteraceae, or aster, family. 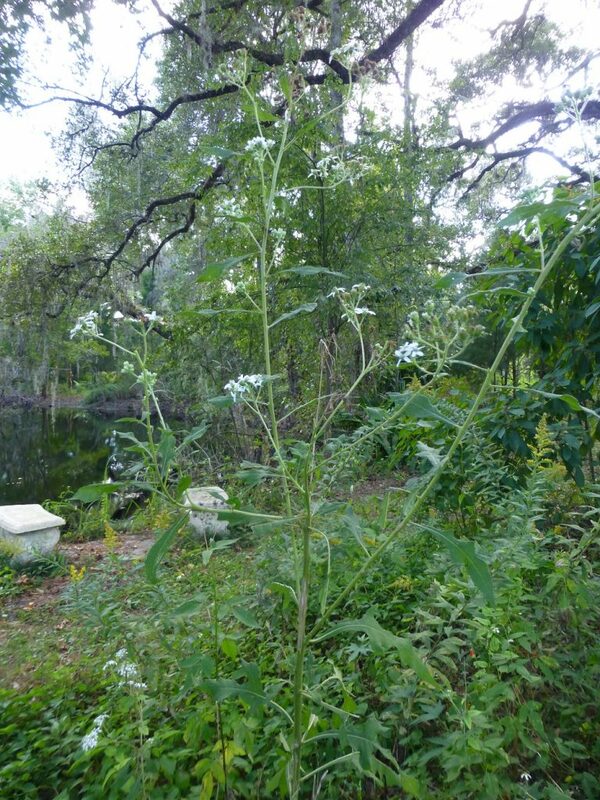 Frostweed occurs naturally in inland hammocks, coastal hammocks, stream banks, riparian areas, thickets, and disturbed sites. In the home landscape it grows in filtered sunlight with dry to occasionally moist soils. It tends to reach for the sun and will fall over if not staked. Using tomato cages can be an effective solution to individual stakes. It can be planted in beds with shorter plants underneath and around it. The leaves are alternate, and stalked with the leaf base growing on the stem. They range in shape from ovate to lanceolate with the smaller, upper leaves, having simple leaf margins and the larger, lower leaves, being lobed. The surfaces usually have stiff, gray, hairs making them rough to the touch. The white flowers appear in mounded clusters or corymbs. 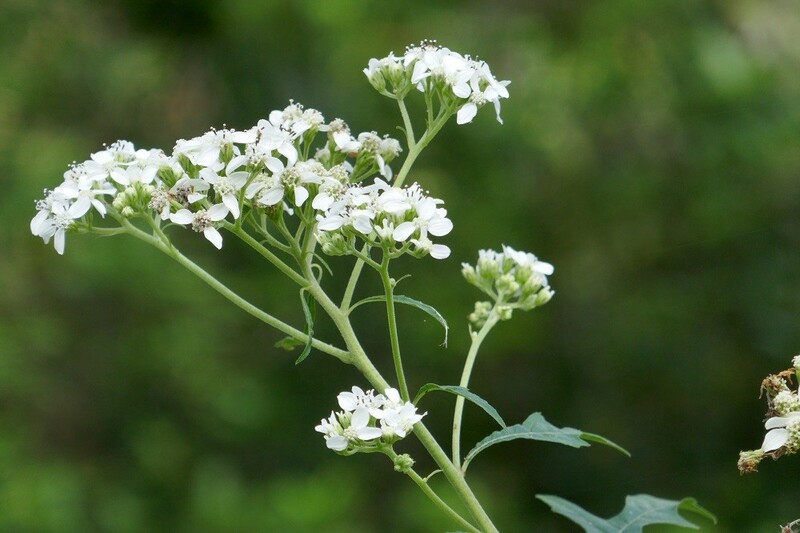 Frostweed generally blooms in the summer and fall, but early plants may start blooming in late spring. The flowering season can be extended by several weeks if the spent blooms are removed, or deadheaded. 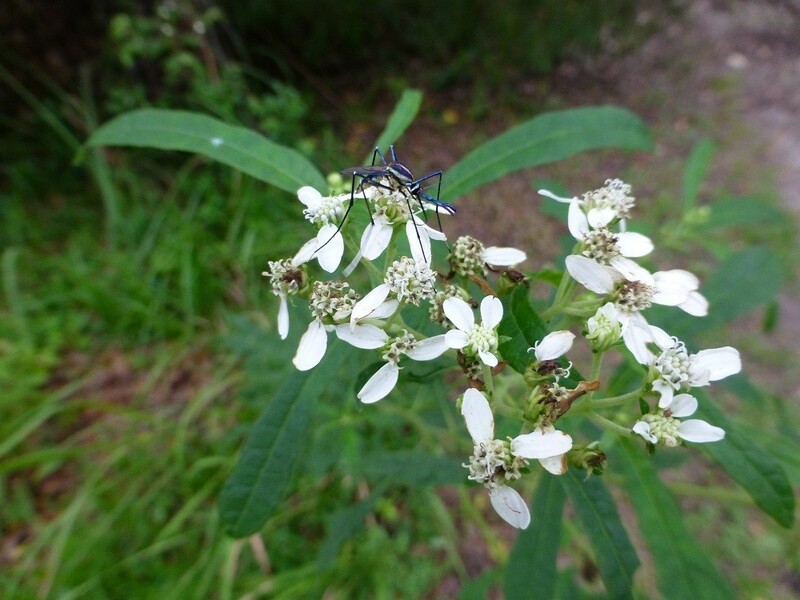 Many pollinators visit frostweed because of its convenient, and large, corymb shaped, platform of blooms. 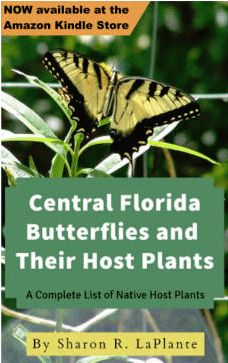 Since the bloom structure provides a sound landing area larger butterflies find it easy to nectar on without a lot of fluttering and wasted energy. Pollinators such as bumblebees, honey bees, wasps, flies, mosquitoes, butterflies, and beetles, visit frostweed flowers for the nectar. Propagation is achieved by the germination of seeds and dividing the roots. Frostweed is native to the following states: AL, AR, DC, FL, GA, IA, IL, IN, KS, KY, LA, MD, MO, MS, NC, OH, OK, PA, SC, TN, TX, VA, and WV. It grows in zones 6a to 10a.